You’re brilliant and creative with the best writers on your team. Do you really need to develop a creative brief? The short answer is “yes.” A creative brief is more than an outline for you and your client. It shapes and directs your creative work while enticing your clients and managing their expectations. A creative brief is the foundation of a client-agency project. Unfortunately, most of us underestimate the importance of creative brief. 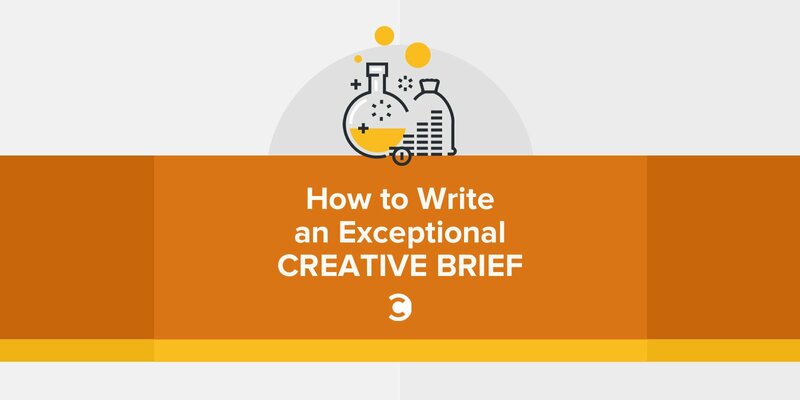 How can you guarantee your next creative brief will keep your team on task and appeal to your client? Interview the client. How do they pitch their product and define its unique selling proposition? Know their take before developing yours. Test it. If it’s a product, ask for a sample. If it’s a service, get access and start using it. Document everything. Write down impressions: the good, the bad, and the surprises. Research competitors. What’s already available, and how is it sold? You don’t want to copy someone else’s strategy or create something weaker. With your research completed, you’re ready to develop the strategy. The sections in creative briefs vary, but there are certain standard elements. Why are they the target audience? What are their primary interests? What do they need? What alternative products do they use? Where do they get information, product reviews, news, and entertainment? What else is relevant? Political views, sense of humor, favorite types of movies? These things may influence your final product. What’s the Product’s Unique Solution? How does it solve it for them, as opposed to solving it for anyone else? What are they using now, and what are the problems with those solutions that your product overcomes? The expense of most razors. Rough shaves and more cuts due to irregular blade changes. The inconvenience of going to the store for new blades. Dollar Shave Club provides the solution: quality, inexpensive razors delivered each month to your door. How Will You Convey That Message? Set the tone for the campaign. Provide a summary of your creative approach. Present the key messaging you will use to convey your solution. What Communication Channels Will You Use? Which channels does your target persona use? Do they use these channels to find solutions to similar problems? What advantage does each channel offer? What type of websites, TV shows, radio programs, etc., are popular with your audience? Where does your audience live? What stores, coffee shops, etc., do they frequent? The answers to these questions have a little to do with the product but everything to do with the target audience. Think beyond the traditional solutions. Consider Spotify’s “Thanks 2016, It’s Been Weird” campaign. They posted strange, localized data points on outdoor displays to emphasize their ability to match music to any taste. Panasonic did the same with one unusual use of a billboard. What Should the Customer Do? You’ve piqued the audience’s interest. How should the client’s customer respond? Ideally, it would be to buy this product now, but that’s not always the best method to attract long-lasting customers. If you’re selling a Little Caesar’s $5 pizza, the call to action is simple: Go pick up a Hot-n-Ready now. What if you’re selling an investment service? Place an eye-catching ad in a magazine your target persona reads. Have your ad direct prospects to your website to learn more. Collect their contact information, list a call-in number, and provide opportunities to speak with a company representative on your site. Consider your contract’s scope. What can your team deliver? What won’t they create? Set client expectations and establish internal expectations and requirements for deliverables. Be specific. It’s tempting to oversell yourself, but that only leads to under-delivering. Your client has likely considered other agencies besides yours. Don’t forget to leave your mark. You’re not just selling your experience; you’re selling your unique approach to their product. What do you see in this product that no one else will see? What makes your team uniquely qualified to present this product to the world? Why are you the right voice to speak to their target persona? A creative brief is a business document; you should treat it as such. Make it professional and concise. However, it’s also a promotional tool. Let it reflect some of your signature style. Don’t bore your clients to tears. Add some creative spice, and sell the heck out of what you do!